Great Customer Service: From your first phone call with our friendly office staff to the completion of your Heating, Cooling and Duct Cleaning service appointment, you can count on us to be there for you. Convenient Scheduling: Our work schedule should revolve around your busy schedule, not ours. Our staff will work with you to ensure that whatever your needs are, they are fulfilled when you need them to be. Working with Knowledgeable Experts: Our professionals possess a wealth of information pertaining to various Cooling, Heating and Ducting technologies and systems, and are happy to answer any questions you may have. Contracting the Services of a Licensed and Insured Company: All of our technicians are licensed professionals which include master electricians and HVAC specialists. We are also a fully bonded and insured company, which means a worry free experience for you. Access to Advanced Technology: We are always learning. As technologies evolve, becoming more complex and efficient, we evolve with it to make sure to provide the highest level of technical expertise available. Work that is 100% Guaranteed: As a professional contractor who believes in work done right the first time, we guarantee everything we do. If a problem should occur with anything we have worked on, we will make it right. In this part of the country going without a reliable heating system can be a major problem. That’s the bad news. The good news is that the heating system experts at Long Island HVAC repair are great at solving problems of that sort! Our many years of experience in multiple types of heating systems can be of great benefit to you, whether you have an oil, gas, mini-split, high velocity or heat pump system. Our proficiency with and extensive knowledge of heating systems of all types and sizes gives us an advantage when determining how to best serve you. Many heating systems are quite complex, so having a contractor who has expert knowledge is a must. We approach working on heating systems of every type with an eye for the small details, knowing that if even one thing is off, the whole thing can be less efficient and potentially dangerous. As anyone who has had to endure a Long Island winter with spotty or no heating at all can tell you, it’s not something you want to experience. Scheduling a pre-winter maintenance appointment with our heating experts can save you from dealing with other, potentially costlier heating issues down the road. Having us install, repair or do maintenance work on your heating system is easy to set up, just give us a call or fill out our contact form! Considering an oil to gas conversion? There are many reasons that if you haven’t already, now could be the time. In addition to being an alternative that requires less work on your part in having to schedule fuel deliveries and not being sure how much you’ll need, a natural gas system is also more energy efficient. Instead of playing a guessing game with the weather for how much heating oil you need, natural gas is pumped directly to your home. A natural gas system guarantees that no matter what the weather is like, you’ll be ready for it with. For a consultation and free estimate for your oil to gas conversion, give us a call today! The air conditioning services at Long Island HVAC Repair are a cut above the rest. 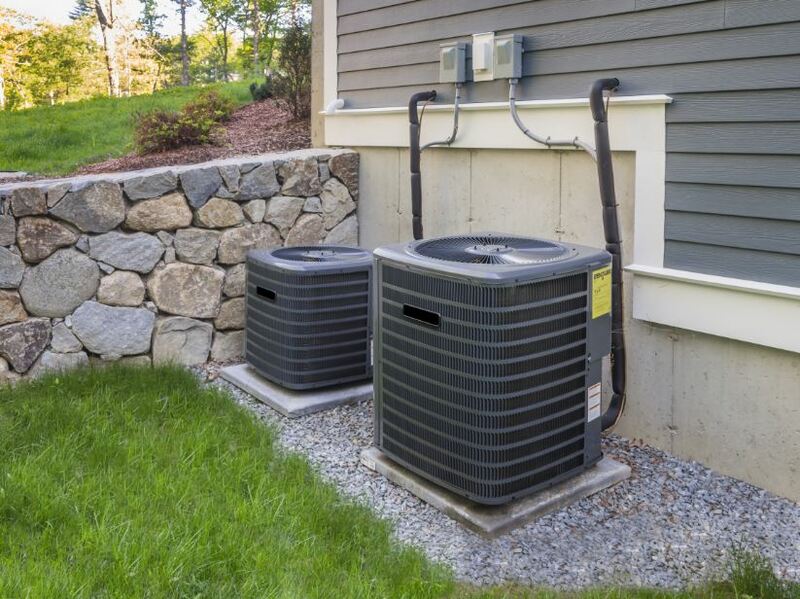 From new AC installation, repair, and maintenance to working with ductless, mini-split, high velocity and heat pump 2-in-1 units, we are the experts in cooling systems. We are also a full service contractor for commercial air conditioning service, and maintain and repair a wide range of commercial systems including rooftop and VRF (variant refrigeration flow) ductless types. When choosing an air conditioning service, you have many options before you. Long Island HVAC Repair knows that every individual job is just that, individual. Differences in square footage of the space, ducting or no ducting, the type of system involved and even the layout of your home or business all have an impact on how your cooling system functions. We take all of these details and more to customize our service in order to best suit your individual needs, not the one size fits all methodology many of our competitors take. Our team believes in being pro-active and over prepared. Before we begin a job we gather as much information as we can about what your needs are, including a free inspection of your systems. Being as knowledgeable as possible before we arrive to assist you means that no time is wasted for either side and that we come ready to what is needed. This ready-for-anything style of HVAC business also means that we can take care of you quickly, ensuring that are work has as little an impact on your day as possible. So whether your needs are an installation, repair or routine maintenance, Long Island HVAC Repair stands ready to keep you cool! Long Island HVAC Repair also offers expert duct cleaning services. We have specialized equipment that can test the quality of your home or building’s air. Depending on our findings it may be time for a professional duct cleaning. This service can increase the energy efficiency of your cooling or heating system by testing for holes that can be caused by a number of things, and decrease the amount of potential allergens in the air of your property. We recommend that, typically, your ducts be professionally cleaned every three years. Depending on the size of your home or building you may need a cleaning more often, and if you’re not sure when your next cleaning should be scheduled, give us a call for a free inspection of your ducting and air quality. For all of your commercial services, be they heating and cooling or professional duct cleaning, Long Island HVAC Repair is a full service contractor you can count on to get the job done. Having your facility’s heating and cooling systems in good working order is very important. Not only is it an issue of being comfortable, a damaged or malfunctioning climate control system can cause a loss in revenue from customers who won’t remain in a hot or cold location. It can also mean a loss in productivity by resulting in conditions that are untenable for working in, resulting in your business not being able to deliver on time. Depending on the time of year these conditions can even be hazardous. These problems and more can be avoided by calling us for all of your commercial heating, cooling and duct cleaning needs. From installing a rooftop system to working on a malfunctioning VRF system to maintaining an existing boiler or furnace, we do it all. If you aren’t sure about the condition of your facility’s cooling equipment, heating equipment or ducting, give us a call and we will do a free inspection of your systems to insure they continue to function properly. If you need to replace or install a system, or you just need repairs or regularly scheduled maintenance, we will be happy to care of it for you.